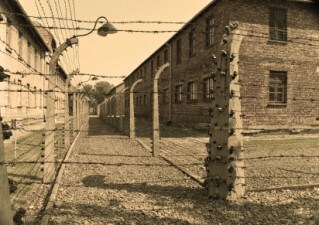 Tracing World War II history in Poland - Polish Tours & Travel Agency - Greetings from Poland! Your arrival to Warsaw airport or train station. Transfer by our driver to a centrally located hotel. 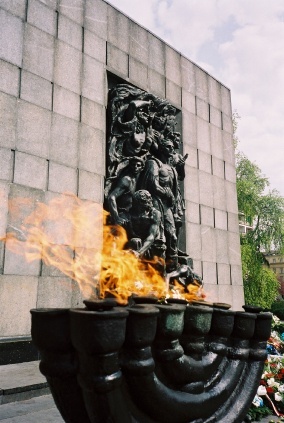 Time to check-in, afternoon half-day, guided tour of Warsaw with a special emphasis on places connected with World War II, like Museum of Polish Martyrdom at former Gestapo headquarters, Pawiak Prison museum, the Old Town – rebuilt after 1945, when Warsaw was destroyed in 90 % . An overnight stay at hotel. Breakfast and second day for tour of Warsaw. On that day you will see the Jewish ghetto area and visit the Warsaw Uprising Museum, and the Museum of History of Polish Jews. After your tour transfer to the Warsaw station and departure by express train to Krakow, where you come after 3 h ride. Our Krakow’s driver meet you at station and transfer to centrally located hotel in Krakow. Time to relax and an overnight stay. Breakfast and a whole day dedicated to Krakow and places connected with World War II history. Your tour includes the Wawel Hill (a seat of General Governor at WWII time) – Podgorze (Jewish ghetto area) – visit to Oscar Schindler’s Factory – Museum, and a visit to the Nazi German Camp in Krakow-Płaszow. Later this day time for private walks at the Old Town of Krakow. Overnight stay at hotel. Breakfast and a whole day tour to Auschwitz-Birkenau to visit the German Nazi concentration camp, a martyrdom museum nowadays. You come back to Krakow at afternoon. Time for farewell walks. Breakfast and transfer by our driver to the Krakow airport for your return flight (or ride by train to Berlin for possible tour extension). Tour date: any date, on your request. Tour price: USD 590 / person – NOW ONLY USD 540 / PERSON ! – train tickets for Krakow – Berlin ride. Tour date any date, on your request.